Results driven executive with outstanding sucess creating and implementing strategies for new products/services in existing and new markets, multi million dollar revenue and growth initiatives grounded solidly on business and economic value. Skilled in managing and developing cross-functional teams and administering budgets.Fluent in English, Portuguese and Spanish. Fast learner and diversity enthusiastic thanks to a nineteen-year career built across multiple positions in three major multinational oil/petrochemical companies, including experience abroad. My career was built in commercial and business related areas of foreign Energy Companies with relevant presence in Brazil and globally. Developing and carrying out many different projects mainly in Business Development, Planning, Sales and Marketing positions in Brazil and abroad has built my business and adaptation skills as well as the ability to lead and develop projects and work in teams effectively. The experiences abroad plus a true passion for soft disciplines in addition to an Engineering degree have enabled me to communicate fluently in three languages: English, Spanish and Portuguese. On top of that, I concluded a MBA in a major Brazilian business school, Fundação Getúlio Vargas, in October, 2004. My interests and profile fit Sales, Marketing, Business Development or Planning areas, as well as the consultancy industry. Article on Customer Relationship published at ABRAREC (Assoc.Brasileira Relações Empresa-Cliente). Repsol Internal Instructor on diverse topics such as: Negotiation, Safety and Investments. Former Vice President (2002-2005) of World Waveski Association. Responsible for the project that made possible Brasil to host World Waveski Series in 2004. Degree in Photography by Instituto Argentino de Fotografia. In the role of Sales Manager in charge of Cosan (former ExxonMobil), BP Castrol, Petronas, Total Elf, Chevron Texaco, Valvoline, Nippon Oil and Idemitsu accounts for Latin America, as well as a local distributor in Chile. My main responsibilities consist of delivering first class services along with Infineum’s top quality products, build strategies together with the clients to grow in volume and profitability by helping them developing new businesses. Our lubricant additives are used primarily in automotive, heavy-duty diesel and marine engines, along with additives for fuels and refineries. New additized gasoline developed and launched in August 2008. My strong and recent background in Sales Areas reinforces the team commitment to our mission: Promote excellence in services culture enabling Sales teams to accomplish the company goals, in an environment where people are constantly encouraged to take responsibilities, learn and develop themselves. Key Achievements:Phase one successful implementation of biannual Repsol YPF business plan (2007-08): Downsizing, new structure settlement, people relocations, cost reductions (-53% jan08 vs. jan07) and business realignment. Lead in negotiation with #1 and #2 Retail Companies in Brazil involving divestment of 15 Company Operating Service Stations. Deal represents 15% volume growth for Repsol business in Brazil. Team career development: recent rotation of 6 people inside and outside MKT department. Profitability: 13% unit margin growth vs.2007. Successful sale of one Repsol society in Brazil for US$ 4 M including limited liabilities. Main Achievement: Due to the actions listed above and achieved by the team, in April 2008, for the first time in its ten-year history in Brazil, Repsol YPF presented a positive result. This plan was transformed in a case and was awarded the 2008 Marketing Best Prize, a twenty-year Brazilian business award granted by, among others, Fundação Getulio Vargas, one of Brazilian Top three Business Schools. To focus on the Upstream business and with a profitable business running well, Repsol Spain decided to launch their plan of divesting the company in Brazil. I took part in this 6-month, top secret project, overlapped with my other responsibilities and in December, 2008 the sale was successfully concluded: US$ 50 M, ~40% above Repsol’s Management target. 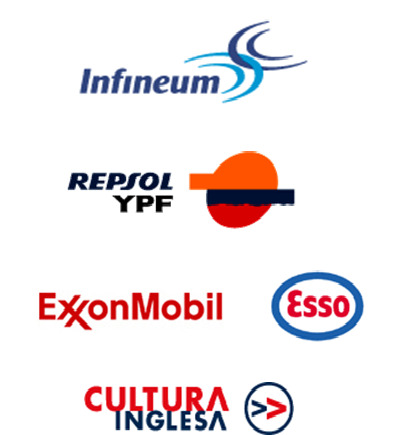 Leadership of the Marketing and fuels Sales areas of Repsol YPF in Brazil, including all segments: Direct Sales, business-to-business, Retail and company owned/operated sites (one year). Supervision of a 300-employee department that generated US$ 650M gross revenues in 2006. Key Achievements:6.2% sales growth 2006 vs. 2005 plus 23.9% improvement in unit margins as a result of a profit focused strategy. 51% bad debt losses reduction (US$ 1.2 M in 2005 vs. US$ 0.6M in 2006).Fuels quality control program launched in 2005. Company owned/operated service stations ISO 9001 and 14001 certified as well as back office procedures. 190 service stations disengaged, 42 contracts renewed 2 new businesses inaugurated. Coordination of the stewardship process for Brazil, with understanding and analysis of key strategic metrics, ensuring integrity of all information used in this process. Key Achievements:Timely and accurate factor analysis for the Country Manager Staff decision taking and reporting. 100% satisfactory audit results. Key Achievements: Negotiated new commercial deals with 5 Natural Gas Distributors, as well as the maintenance of business relationship with other five. 28 new CNG service stations developed and approved, 10 new sites inaugurated, with net incremental revenues of US$ 100K /mo.This result allowed us an additional budget for investments, totaling US$ 11M in 2003. Key Achievements: Closed 72 contracts with the correct application of the year budget of US$ 4M.New project for highway sites developed. Six new service stations inaugurated, involving US$ 1M expenditure in land acquisition. More than US$ 30M per year gross contribution. Key Achievements: Construction of 32 new sites, modernization of other 9 and 11 tanks replacements.Management of a yearly budget of US$ 11M, without overruns. “Above the average" results in audits. Lead of the Engineering Outsourcing Study for Central and South Americas, involving 29 countries and 150 contractors. Interviewed 19 of them in AmSouth and subsequently the top 7 in Miami. One company was selected for Argentina, Uruguay and Paraguay. Downsizing implementation in Brazil, with internal outplacement resulting in annual savings of approximately US$ 150 K/year. "On the job" training in Argentina. Responsibility over projects (design, schedule, costs, safety, health and environment) in Esso chain in Buenos Aires and North of Argentina. Preparation for new assignment as Engineering Manager in Brazil. Eight projects successfully closed. Responsible for business results analysis of Esso Brazil, including planning, control and stewardship versus plan.Direct support to the National Sales Director in the preparation of presentations to the president in Brazil and the executives in USA. Contract renewals investment analysis. Direct coaching to the Sales field Teams. Management of the Loans and Capital Budget. Approval of 89 cases in the period. Key Achievements:Implemented the two first Esso franchisee Convenience Stores in the N/NE area of Brazil. 30% Total Sales growth 1996 vs. 1995. I was granted a national Esso prize for the best Service Station in Brazil. Administrative support to the Area Sales Manager.The area included 4 States totaling approximately 200 hundred service stations and 10 contractors. Adults’ preparation for Cambridge examinations. Scholarship in UK granted by British Council. 144 hour In Company Course “Programa Interno de Management”. ·MBA - Management - FGV Fundação Getúlio Vargas, Rio de Janeiro. Concluded Oct, 2004. ·CPE – Certificate of Proficiency in English – Cambridge, May 1989. ·Certificate of English Translator from and into Portuguese. Cambridge University. Dec, 1988. ·British Council English Teaching Certificate in Nottingham, England. Jul, 1989.